It’s Not Football Season. He needs your Prayers. Excellent Points! Please read Irons and Ladders. Every INCH counts when positioning a Full Alarm Assignment. Engines can stretch more line. Ladders are limited and do not stretch. Set up for the worst case scenario. Engines should double past when dealing with town houses, row house, etc.. This leaves room for another engine if it were to arrive before the ladder and also gives you redundancy for safer engine operations. This will also give additional tank water while the hydrant is being tapped. When dealing with large houses and/or multiple dwellings, try and place an engine on the hydrant for maximum water supply. This engine will be your BANKER and have control of available water. The BANKER can feed multiple supply lines to multiple apparatus. The first arriving ladder should consider the second ladder and different capabilities between the first and second arriving ladder. Is it a stick or tower? Is the first one longer or shorter? Ladders are not all created equal, nor is the driver. Ladders/Towers have different outrigger spans. Getting three engines, two trucks, and a command SUV in position can be like parking for the Blue Angels Air Show on Pensacola Beach. Every inch counts!! Think before pulling the air brake. 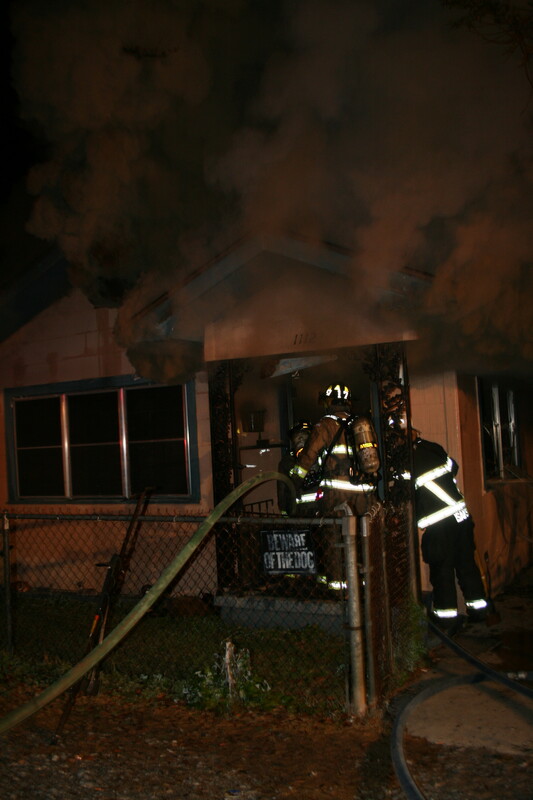 (ABC 6 NEWS) Rochester fire fighters rescued a woman and several young children from a house fire late Monday night. 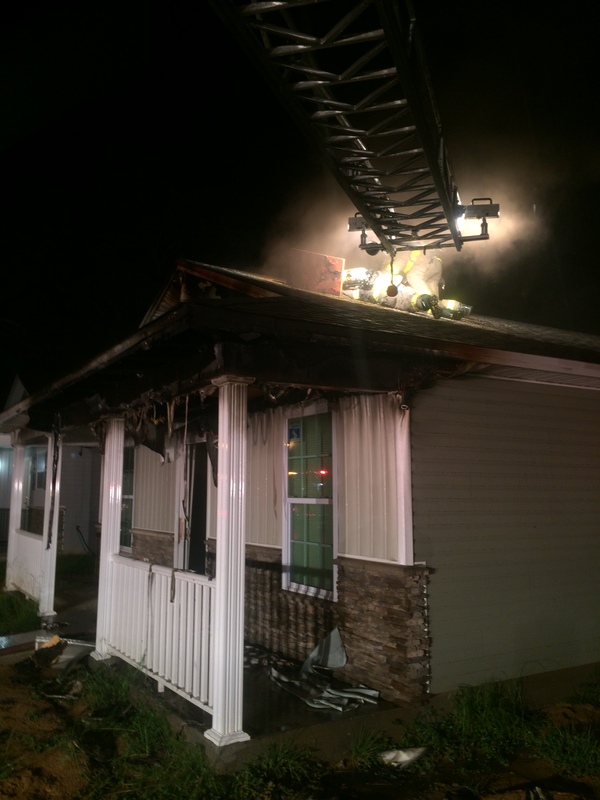 Crews were called to the 200 block of 13 Avenue SE at about 11:15 p.m.
Investigators say the woman and four children were standing on the second floor awning of the home when crews arrived. Officials say smoke was billowing out of the windows. Fire fighters used a ladder to rescue the group from the awning. They then were able to put out the fire, officials say. The family was treated at the scene by emergency responders from Gold Cross Ambulance then released. No injuries were reported, except for minor smoke inhalation, officials say. Investigators say it is believed the fire started in the kitchen. An official investigation is pending. The $150 has closed. We had over 100 firefighters register, in under 12 hours, from all over the world. Very Exciting!! We have reopened registration at $200 for full conference. This will remain open until we reach 200 registered and then the price will increase to $250. Don’t W A I T ……. Hotel Rooms will start at $89 a night for a double and we provide FREE shuttle to and from the Pensacola Airport. First and Foremost we here at County Fire Tactics, FULLY support vertical ventilation and letting the HEAT OUT! Heat rises and when you open the roof, you are releasing BTUs therefore lowering the amount of GPSs required for knockdown. It amazes me how many fire departments do not support or allow vertical ventilation. I wonder if the same individuals support having the flue open on the fire place? There is no question that vertical ventilation/roof operations on newer buildings requires training and a good understanding of building construction. Todays houses/buildings do not allow for delayed roof operations. 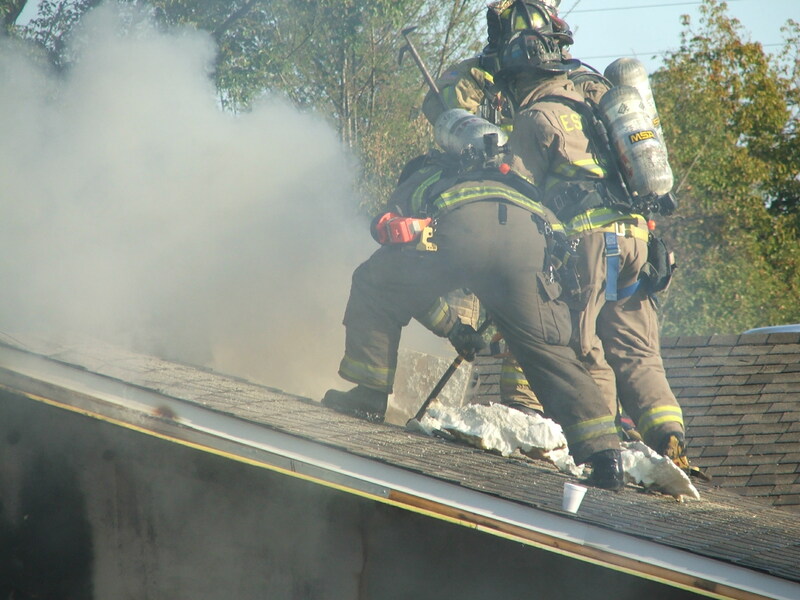 You must decide early if vertical ventilation is needed and get it done ASAP. 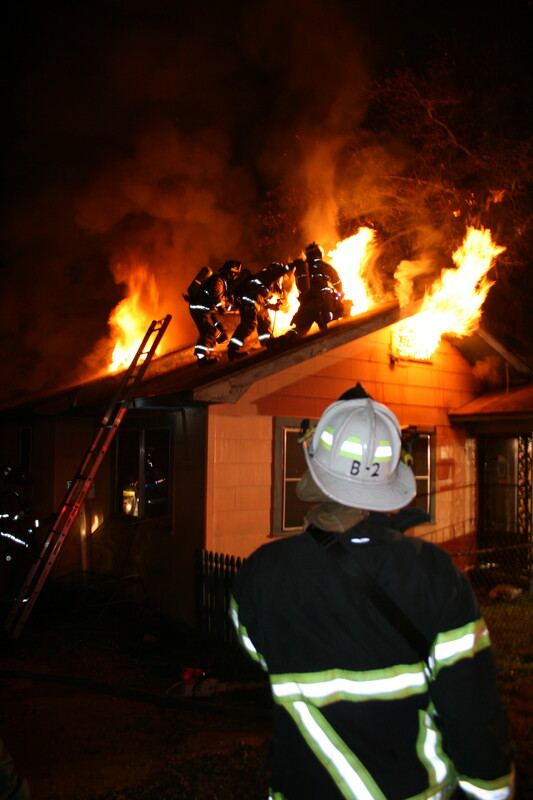 You must already have a line in place applying or ready to apply WATER to the FIRE, before or during the process of opening the roof. Today’s Fire Loads burn hotter and faster than fire loads of yesterday. They also respond more aggressively to oxygen and this requires the fire service to have a better understanding of ventilation in general. Firefighters could break windows and open the roof 30 years ago without much of a threat to Rapid Fire Growth. If you take the window, open the door, cut the roof, and its not done at the right time, in right location; and coordinated with water application, you could have significant fire growth in seconds. Spray Foam Insulation is becoming the common all over the country and could cause issues on the fireground. I have had numerous fires with SFI and have personally seen it burn and give off significant heat and fire gases. One fire was in a new commercial building that was fully sprinkled and still had a significant fire in the attic. I was first to arrive with heavy smoke pushing from the roof and eaves. The interior was clear and had a couple of sprinkler heads flowing. 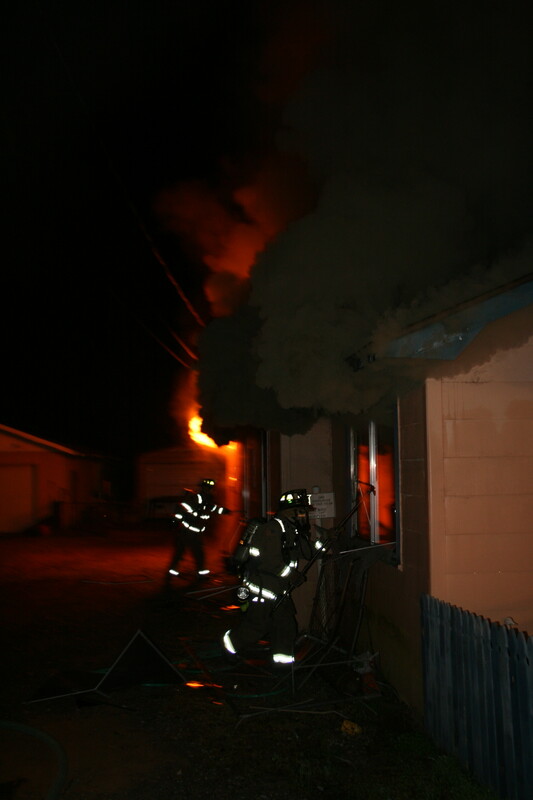 We supported the FDC, stretched a line to front entrance and assigned two crews to the roof. The crews started open the roof with a K12 “30 tooth blade” and the depth of cut was not sufficient to penetrate the SFI. The K12 cut the roof decking, but would not cut deep enough to cut all the SFI. The SFI had enough strength to keep the decking intact. The crews started punching with their roof hooks and haligan to break through the SFI. 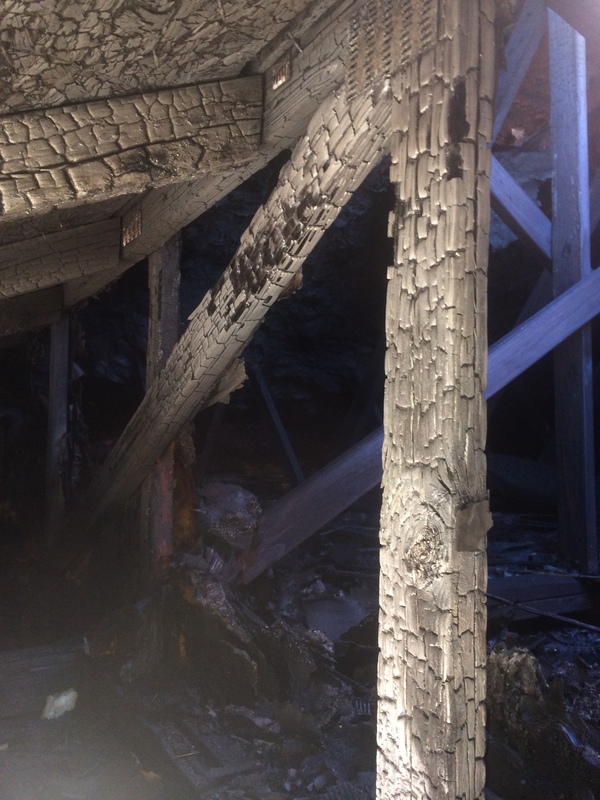 This fire showed the need for a traditional chainsaw with a 18″ bar to penetrate the decking and SFI. I personally recommend a Stihl 460. 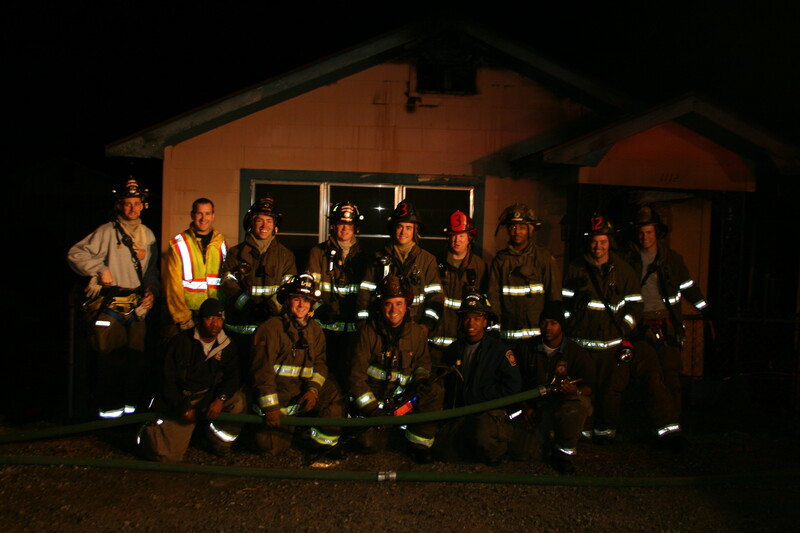 We recently had a fire in a New HUD house that had just been completed. The house got hit by lighting. I arrived first to observe light smoke. Once I got close and started a 360, realized we had heavy heat and smoke trapped in the attic. The house was clear inside, front to back. The fire was contained to the attic and starving for oxygen. I assigned the first due engine to stretch a line and the first due truck to set up for roof operations. This was a one story, but still wanted them to place the aerial to the roof. 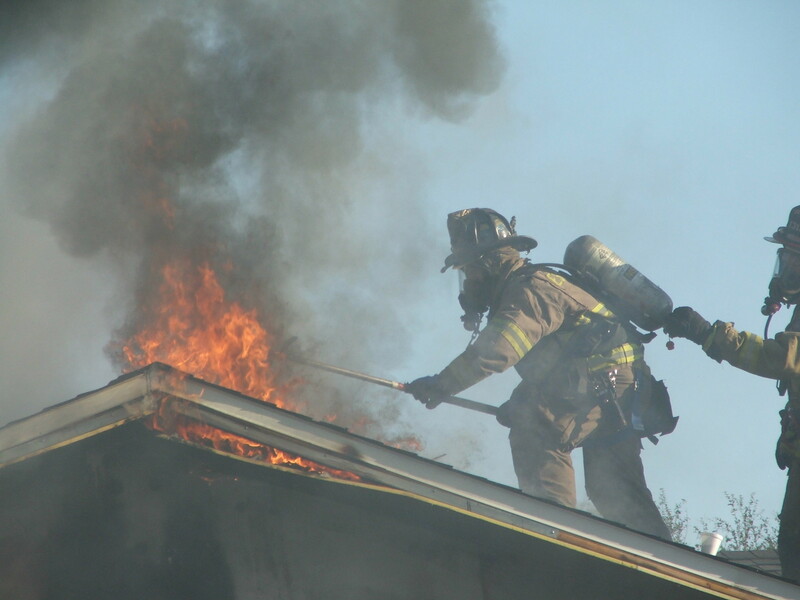 With todays building construction and fire growth, please consider using the aerial when possible for roof operations. This gives the roof team an independent platform/way of opening the roof without getting on the roof . It also gives a high point/something to hold onto if there was a collapse. You still want multiple ground ladders placed to the roof and a roof ladder when possible. 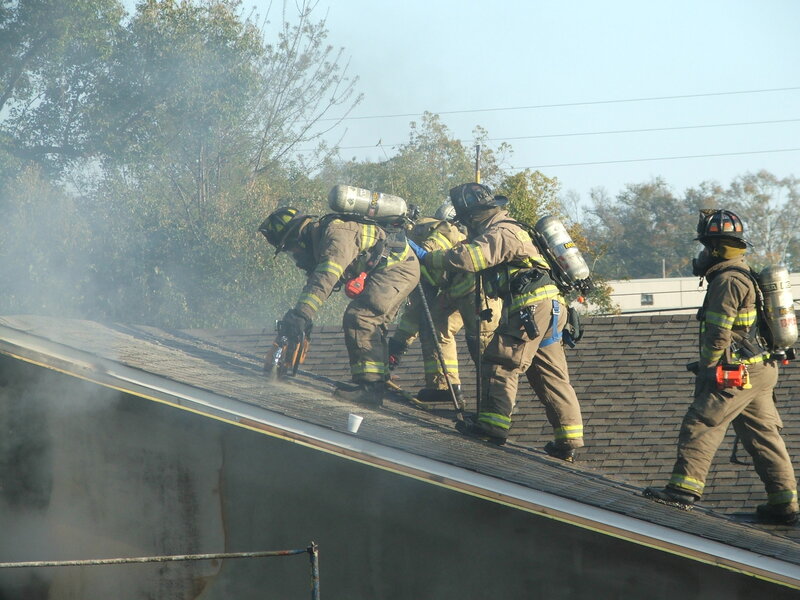 Once the roof team opened the roof, the smoke lit off and rapid fire growth within seconds. This was a none issue, based on the Engine had a line in place, charged, and multiple firefighters to open the porch ceiling. This allowed for rapid extinguishment and minimized any further damage. The roof team advised the roof felt SOLID before and after cutting. 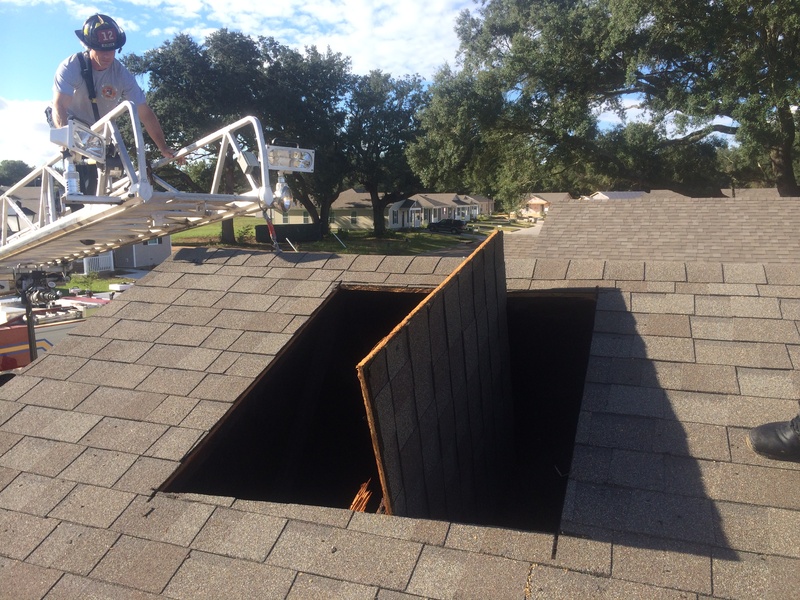 This attic had SFI and gives a FALSE sense that the roof is SOLID. When going back the following watch, we put 12 firefighters on the roof and it still felt solid. SFI makes sounding a roof very tuff and hides the weakness of a lightweight/ “TRUSS’ constructed roof. Get Out and preplan your district. 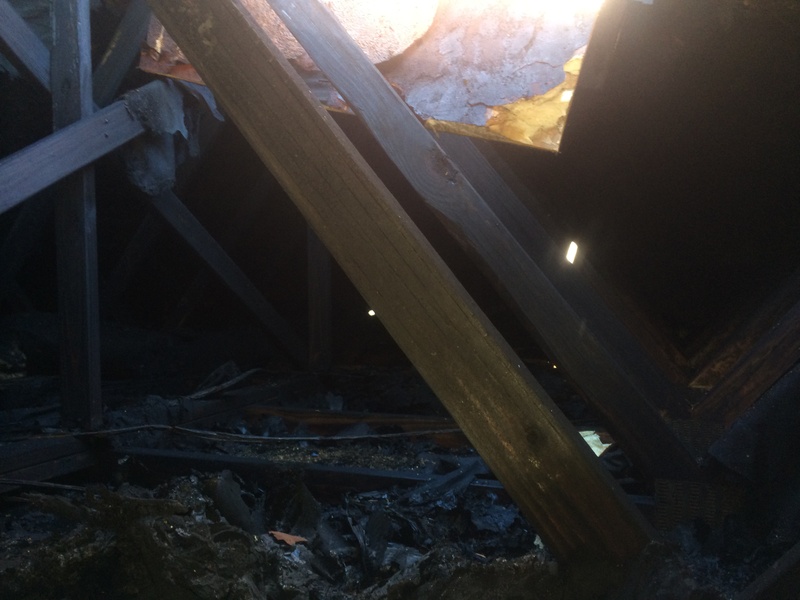 Understand that SFI attic spaces can cause a false reading when firefighters are operating on the roof. If you have heat and smoke trapped in an SFI attic, have a line stretch, crews breathing air, and be ready when that space gets the oxygen its looking for. OPEN THE ROOF before pulling ceilings. Let the fire gases escape vertically before giving oxygen from below. We also had another fire this last year in a three story MANSION that had SFI all over. 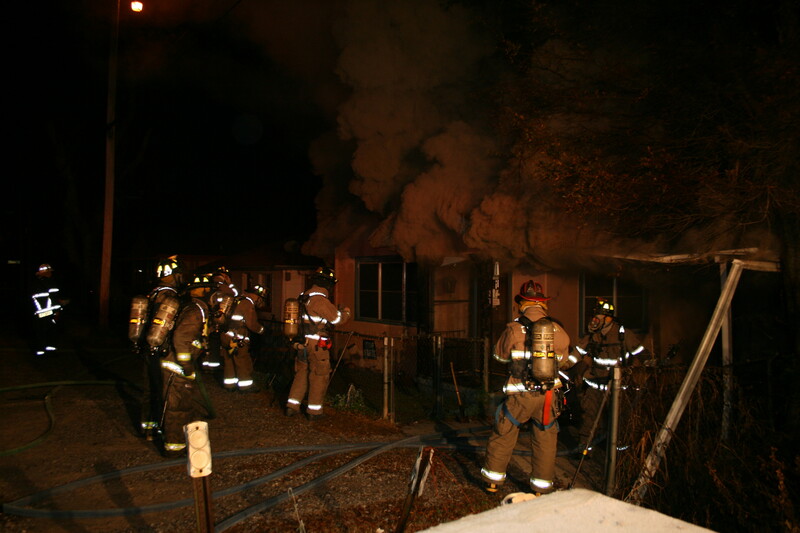 The fire started from lighting on the exterior and communicated up the side of the house. Crews were outside operating multiple lines and checking inside for extension. Crews inside were advising, no extension and everything outside showed signs that the fire was out. The IC was starting to release companies, when my driver “Light Duty assigned” spoke up that he could see light smoke from the eaves. He pointed out where he could see the light smoke. I took another look from a different angle with my TIC “TICs outside are critical” and I could visible see heat on the TIC screen. We rapidly called for the Truck to set up from an adjacent hotel parking lot and place the aerial over a large wall separating the Mansion from the hotel parking lot. We ordered lines stretched to the top floor interior and the roof crew to breath air while opening the roof. 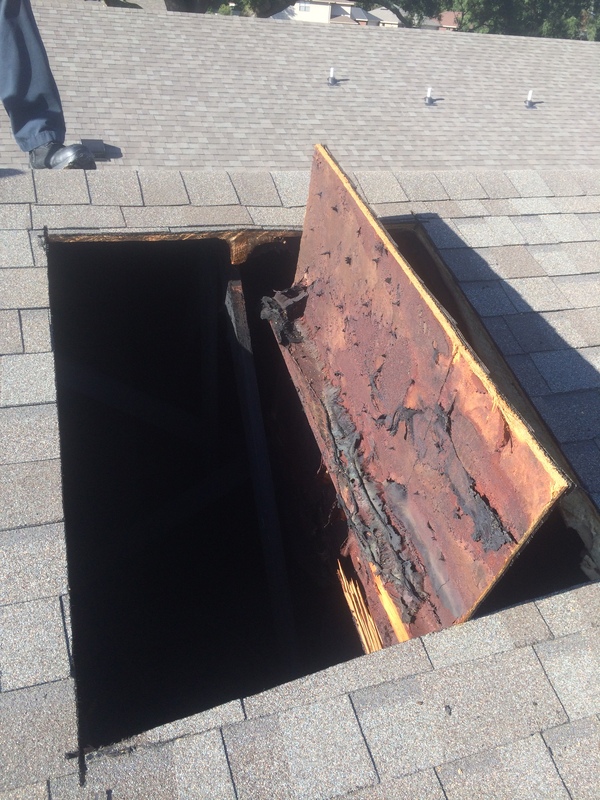 Once the roof crew opened the roof, it lit off violently, blowing through the hole ten feet. 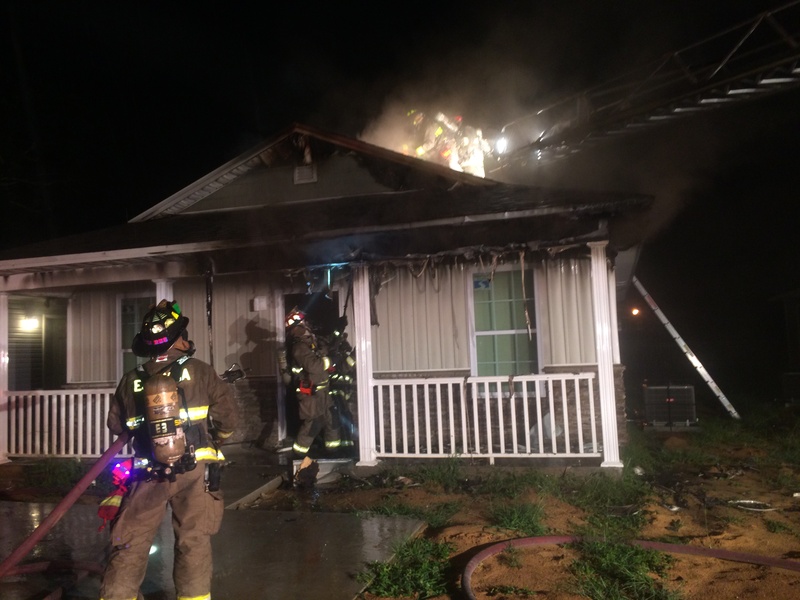 There were multiple chiefs on-scene and the interior was having trouble getting the 350′ attack line to the third floor. Yes, it took a 350′ attack line to reach the third floor finished attic. I took interior and when I reached the interior stairs that lead up to the finished attic, it was lights out with medium heat. Once up in the attic it was high heat and everything was destroyed and we had active fire. The SFI was so thick it covered most of the structural members. This could have turned out much worse, if it was not for a firefighter speaking up, and utilizing aggressive tactics, to include vertical ventilation. This was a multi million dollar house, that sustained minor damage, in comparison to what it could have been. This was another SFI FIRE that required VERTICAL VENTILATION with rapid water application from below. SFI is common and will continue to be used. It is not a problem, as long as you understand its insulation capabilities. It will seal heat in and keep oxygen out. It can increase the chances of a smoke explosion and/or backdraft. Nothing Showing, Means Nothing Anymore!! Don’t be LAZY!! Stretch Lines, use your TIC, Breath Air, Open Up, and be READY to FLOW WATER!! This was just a quick nugget. More to come on SFI. 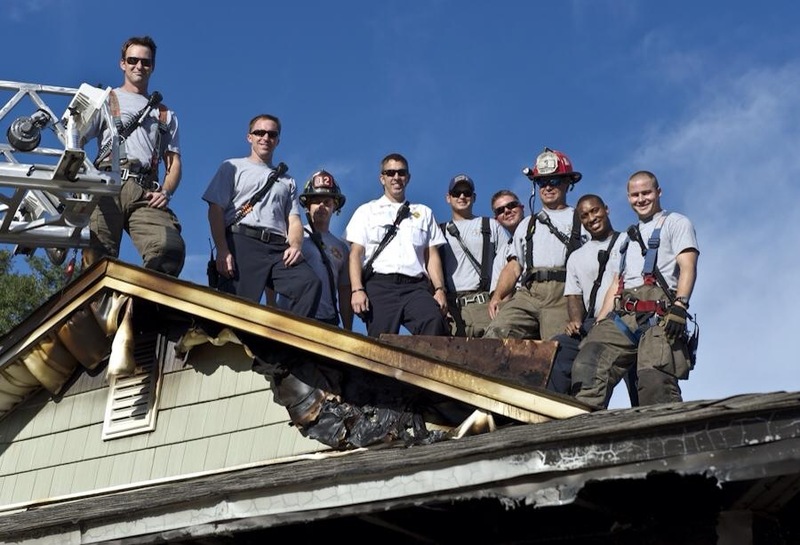 Firefighters rescue civilians everyday from the interior of a working structure fire and SAVE a lot of lives by going interior to suppress and search for trapped occupants. Saving Lives is our top priority and this is the reason civilians respect firefighters so much. Respect is huge and should not be taken likely. It’s not easy to earn, but can easily be lost. I think generally most civilians respect the average firefighter and place them on a pedestal in comparison to other occupations. Firefighters should respect this and work to continue this admiration that has been placed on our calling. I appreciate the admiration/respect that most civilians give us, but it is not what I’m looking for in relation to earning respect/admiration. The civilian is very high on my priority list, but the firefighters I’m responsible for are VERY high on this same list and they frequently RISK their lives to save others; and I want to feel confident, that I have the abilities to command a Firefighter Rescue Operation “Mayday”. I view this, as the ultimate test that I may face one day as a Fire Ground Commander. I literally think about it every single day. I study previous Maydays and RIT OPERATIONS. I also do a lot of WHAT IFs???? What if this happens, What if that happens and how would I/we deal with that. I don’t think we can do, to much What if thinking. Recently I gave notice to my battalion that we would be performing a RIT DRILL and gave them some of the details. I explained it would involve a down firefighter, trapped in a collapse. That they would be required to use airbags in a low visibility environment, under challenging conditions. They were given a few weeks to prepare/ train however they deemed necessary. The drill consisted of two firefighters trapped in a basement under a simulated collapse. We used couches with bags of concrete as weight to simulate a floor on top of rescue dummies. 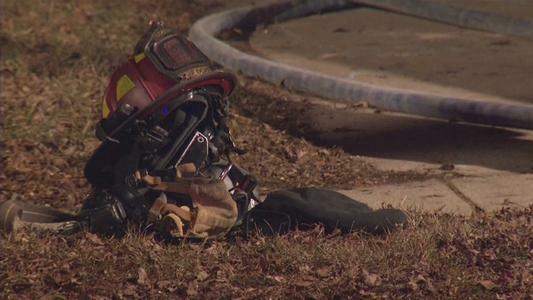 One of the dummies/down firefighters strictly had a mask on and no airpack. Ten feet away was another dummy/down firefighter with airpack and mask on. The bell was ringing or had just ran out once the RIT makes it down into the basement. We also had smoke detectors and pass devices sounding. This is critical for firefighters to learn the difference between a pass and a smoke detector. 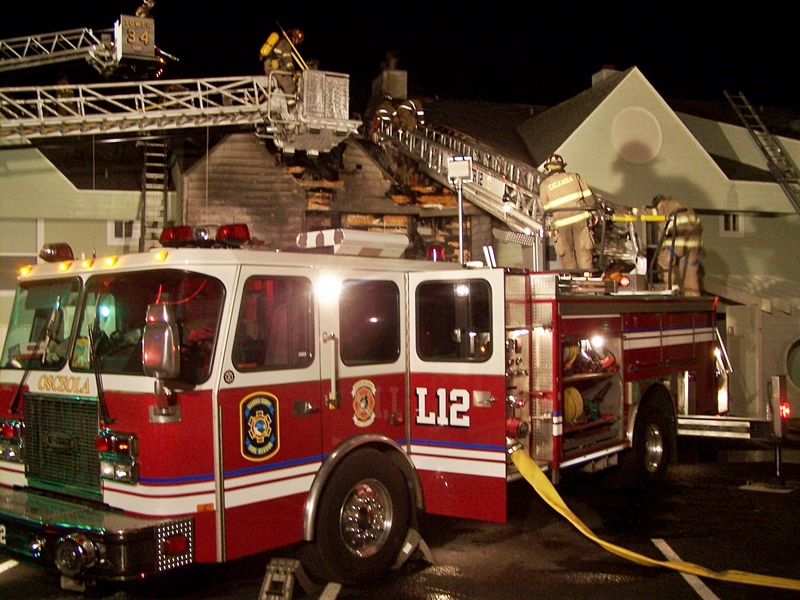 Smoke detectors can cause a false attraction and delay air/ rescue to a trapped firefighter. Once the RIT locates the down firefighter they must ID, check air, and silence the pass. These three priorities should almost be done together and reported to command. History tells us that we could find additional firefighters other than the one or ones that called a mayday. 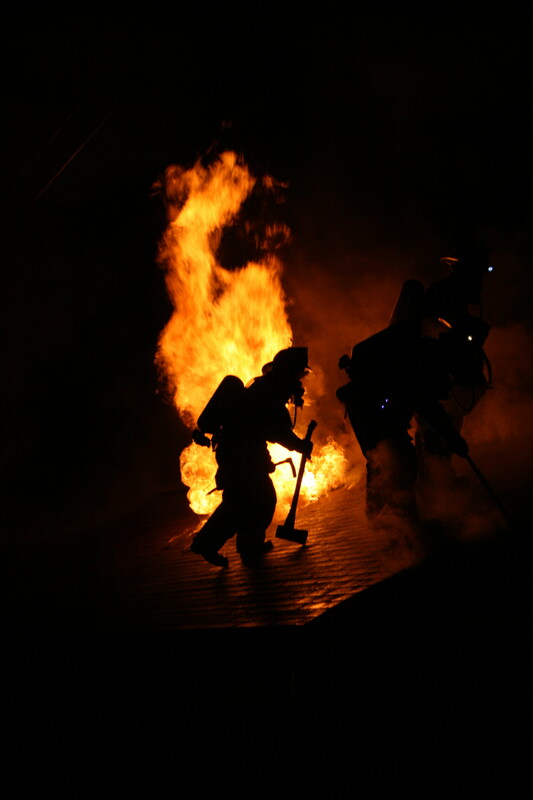 Historically a large number of firefighters have been located that never transmitted a call for HELP ” MayDay”. During the drill, each RIT found the firefighter with strictly a mask on first. They did the above priorities the best they could. 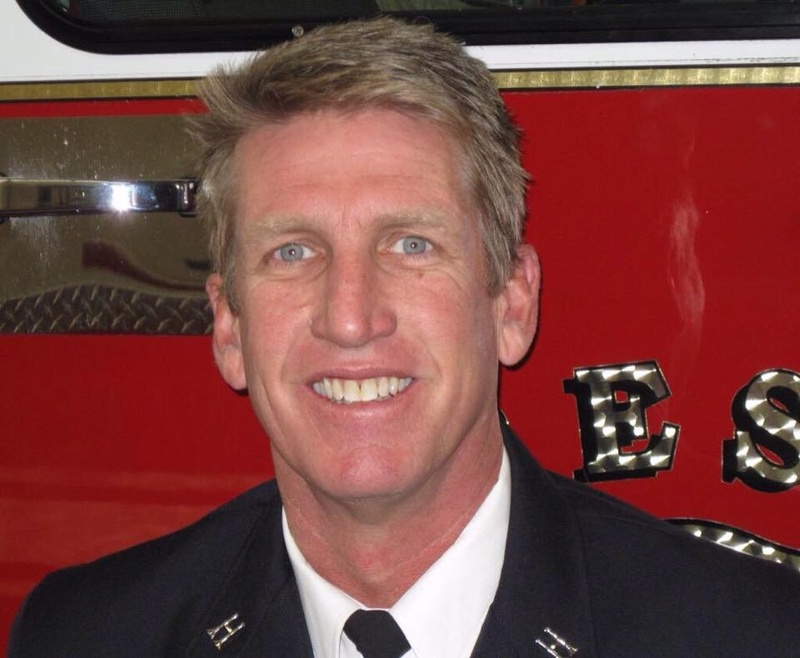 They were unable to ID the firefighter, because the firefighter was not properly marked. YES, properly marked. All firefighters operating on the fire ground should have their name on the bottom part of mask, front piece, and lower part of bunker coat. In addition to this, each air pack should be marked with company designation on the bottle band and front shoulder strap. With these markings, it should be fairly easy to ID a down firefighter and confirm the company they are assigned to. It still amazes me how many fire departments do not properly ID their firefighters. I have operated on the fire ground with both and it is a huge difference when firefighters are visibly marked. 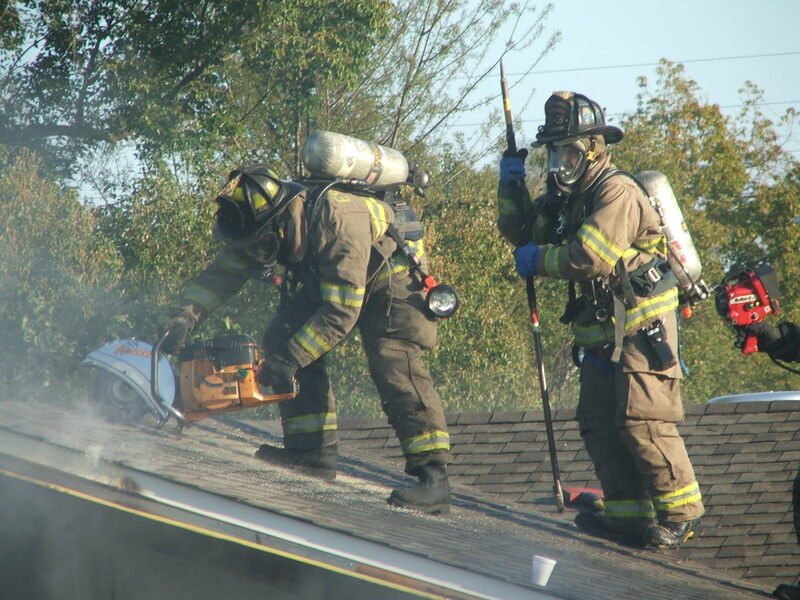 Once the RIT gets the first firefighter on air and silences the pass, they hear a second pass ten feet away and this down firefighter has a fully operational airpack, that is very low on air or has just ran out. This is where the RIT has a serious decision to make. Do they try and get RIT PACK between the two and provide regulator to mask of first firefighter and trans-fill the second firefighter. This would be a Great option, but in this scenario, I purposely spread the two just enough that the RIT hoses would not reach. I wanted them to decide, yes down firefighter TRIAGE. Nobody wants to talk about it. Yes, everyone goes home. They just might not go home alive. This is a reality and we must train to save those that can be saved. We do it with civilians and we may be faced with this same situation during a RIT operation. I placed Chief Mcnames picture on my screen saver in December of 1999 and left it up for almost a year. I looked at his picture everyday and thought about the decisions he faced and the ones he made that night. I have never met him, but he has impacted my career and voyage to prepare for the ULTIMATE test. So do we disconnect the first firefighter, go trans fill the second, to then return to the first and re hook up the regulator?? I’m not sure, each situation could be different. Location, previous radio communications, signs of injuries, age of firefighter and other considerations that we don’t like to openly discuss. Down FIREFIGHTER TRIAGE. Once you have established air to the down firefighter, now begins the extrication process. What tools will you need and have you trained using them in this kind of environment? Are the tools set up for RIT operations. Airbags used in a RIT operation need to be set up properly with ropes or webbing to assist in dragging and using in a hostile environment. They also need to be properly marked with isolation valves already pre connected. The hoses need to be mark where you can identify in low visibility. The control box and hose need to be stream lined. When operating two bags, you should have three different colors and something to help manage the hoses during deployment and while setting up once at the down firefighter. It can be very frustrating if you have not trained and thought out your air bag operation. The civilian respects you, but does your fellow firefighters RESPECT YOU? Have you truly worked at preparing yourself for the Ultimate Rescue, a Firefighter Rescue? I would like the civilians, I swore to protect, to respect what I do and how serious I take my calling. But more importantly, I really want my fellow firefighters to feel confident that I have done and will do whatever necessary to save them if they were to get caught or trapped in a fire. I hope that I am able to full fill my calling. Everyday must be a Training Day! Do not run out of air as a RIT TEAM member with a FULL RIT AIR PACK in your hands or available. The RIT TEAM may need to share the RIT PACK. Practice trans-filling yourself. It takes practice.. The Metro Atlanta Fire Conference will be bigger than ever before and has a tremendous line up. All seminars/classroom sessions are FREE! There is a small fee for the Hands On Tracks, but these classes are filling FAST, if they are not already FULL. Don’t wait to get your spot in one of the Hands On Tracks, Sign Up Today. This 8 hour hands on class will cover both engine and truck tactics required at your typical house fire. All students will force a door, vent a roof, take a window, conduct an interior search under smoke conditions, perform VES with ground ladders, and make a victim removal. Students will also complete a downed firefighter scenario, including packaging and removal. Engine operations, including stretching, advancing, and flowing hose lines will be practiced. This includes 1 ¾”, 2”, and 2 ½” hose lines. Understanding and making the proper WEAPON SELECTION for today’s fire ground will be stressed. This is a FAST PACED hands on class, for firefighters who want to challenge their fire ground fitness, and want to keep working with very little idle time. The instructor to student ratio will be 1:5 with additional support personnel to allow for rapid movement of the class through six rotations in full bunker gear.